Delta Equipment has been appointed Australian importer and distributor for Dutch machinery group Tobroco-Giant. Tobroco-Giant has been manufacturing compact wheel loaders, skid steers, telescopic loaders, telehandlers and associated attachments under the Giant brand name since 1996. 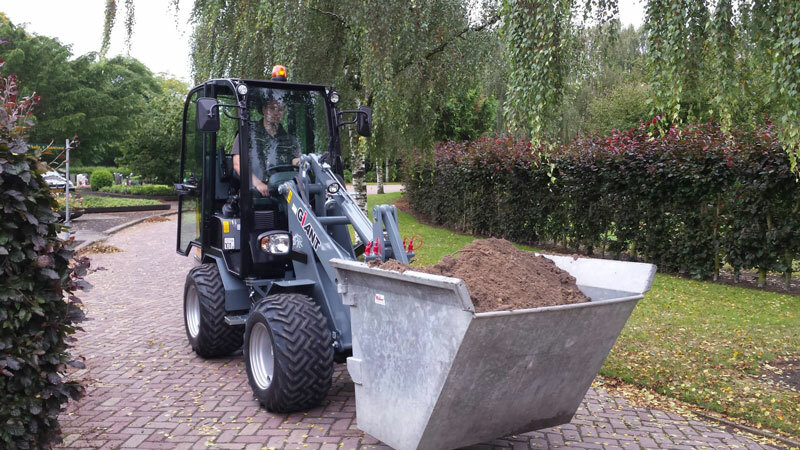 The compact nature of the Giant range makes the machines particularly suited to landscaping, urban construction, agriculture and civil infrastructure applications. Tobroco-Giant says it uses continuous development and high-end components from the likes of Kubota, Bosch, Rexroth and Comer to ensure the highest quality. Models such as the Giant D337T are a prime example of the versatility of the Giant lineup. Powered by a 24kW 3-cylinder Kubota diesel, the D337T can lift a 1650kg load to a height of around 2.8-metres. The base machine can be expanded by adding one of Tobroco-Giant’s various attachments including log grapples, log splitters and stump grinders as well as more earthmoving-focused attachments such as high-volume buckets, earth buckets and 4-in-1 buckets. Tobroco-Giant also offers pallet forks for the loading and unloading of trucks and containers. Attachments can be swapped out quickly and safely using Giant machines’ standard hydraulic coupler system. The D337T also features a fully enclosed ROPS/FOPS cabin complete with suspension seat and ergonomic controls. The largest compact loader in the Tobroco-Giant range is the 5.6-tonne Giant V761T. The V761T features a number of automated power management functions to ensure optimum distribution of engine and hydraulic power based on load and conditions. The system can also split hydraulic oil flow and deliver power to two different functions simultaneously. The result is much lower fuel consumption and emissions. Delta Equipment says it believes the Tobroco-Giant product range has huge potential to be a major player in the Australian equipment market.